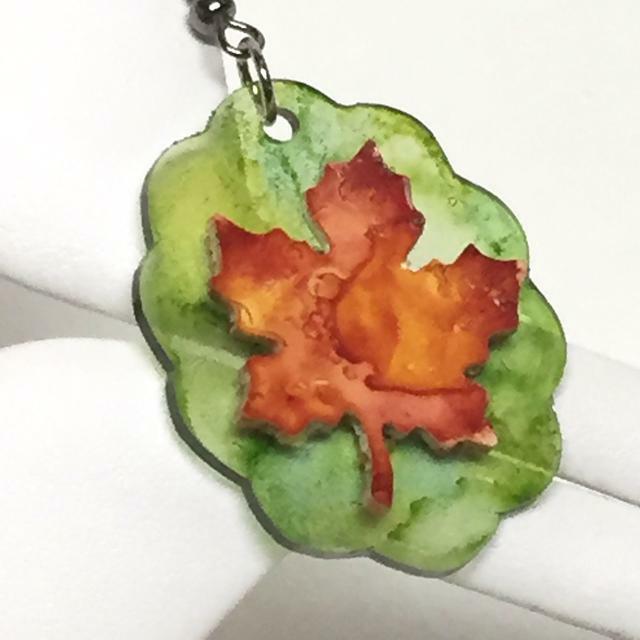 Project Description: Create your own custom jewelry using Shrink Film by Grafix and alcohol inks. Select and set up your die cuts according to your machine’s directions. 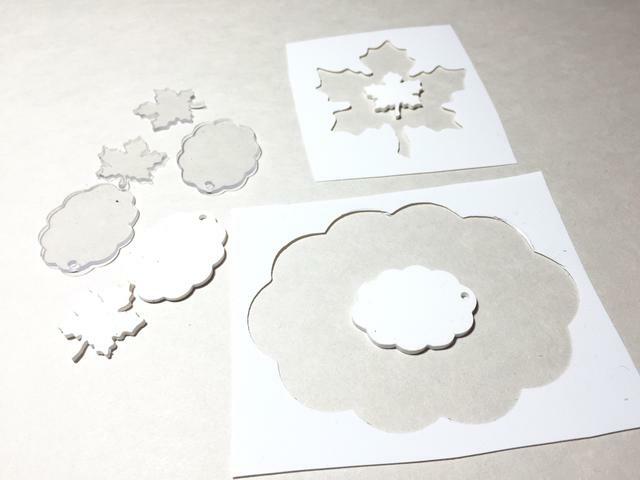 *note: fine details, like the filigree patterns on the leaves, will not be cut out due to the thickness of the Shrink Film. Run through your machine to punch out shapes. You will need 2 of each shape. 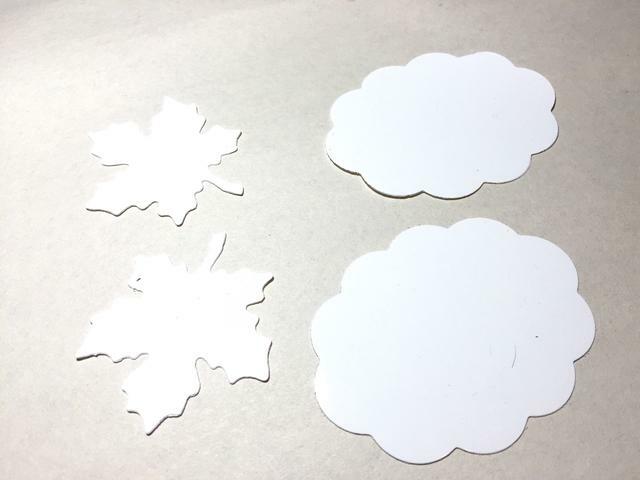 I cut out one set from white and one set from clear, so I could decide how I wanted to layer them. Punch holes in the top of the oval pieces. 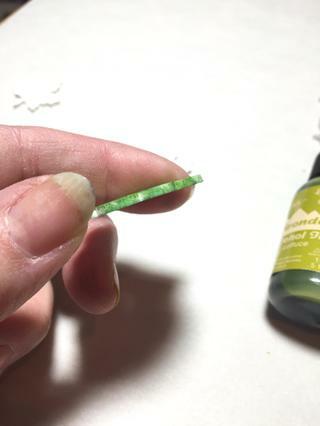 Bake and shrink pieces according to package directions before inking them. 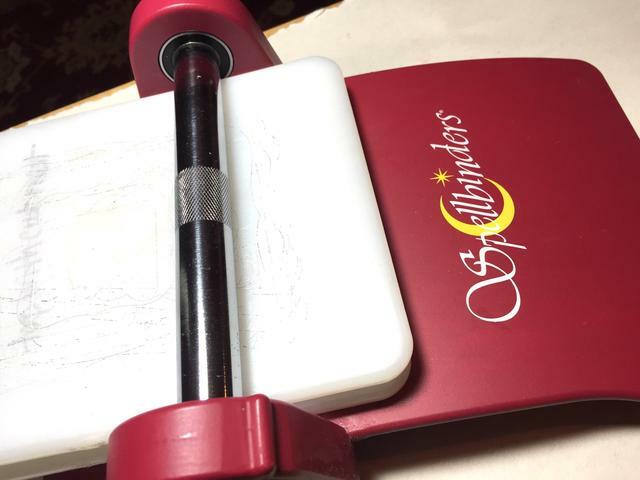 I use a parchment lined baking sheet to shrink mine. 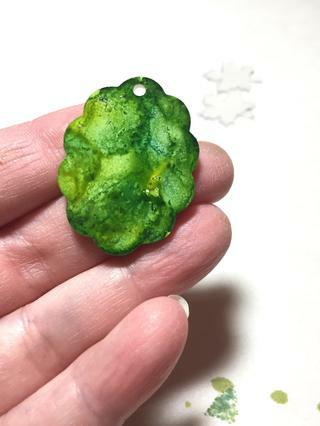 Working on one piece at a time, add drops of the different green inks on the oval pieces. 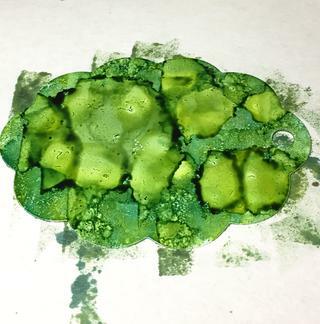 Then dab using the Color Blender to gently spread and blend the inks, don’t over blend. 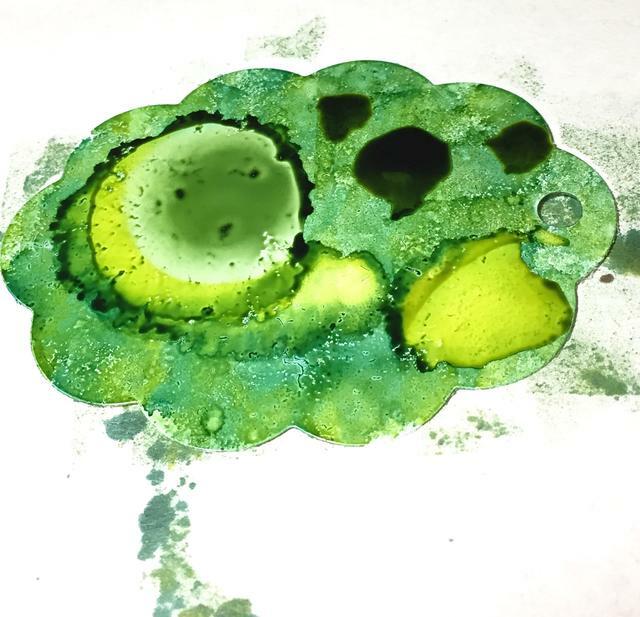 After you have applied your background color, dribble drops of ink on the pieces and let them “bloom”. 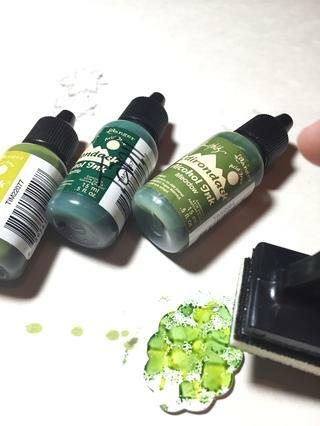 Keep adding drops of ink until you are happy with the pattern. 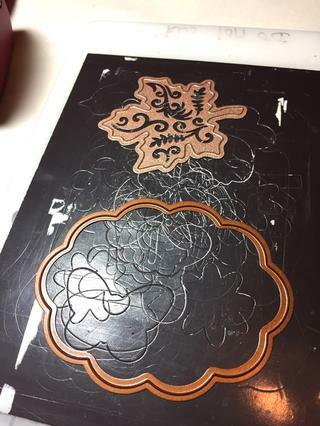 Also, ink the sides of the pieces. 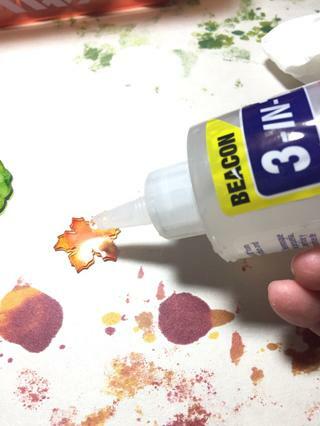 Repeat the process on the leaves using the orange, red and brown inks. 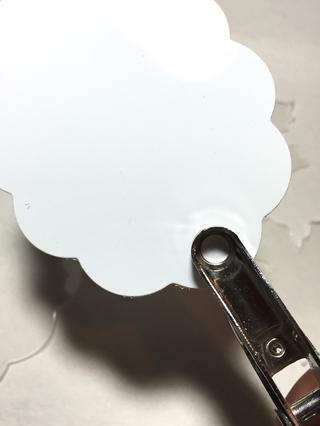 Use Beacons 3-in-1 Glue to adhere leaves to ovals. 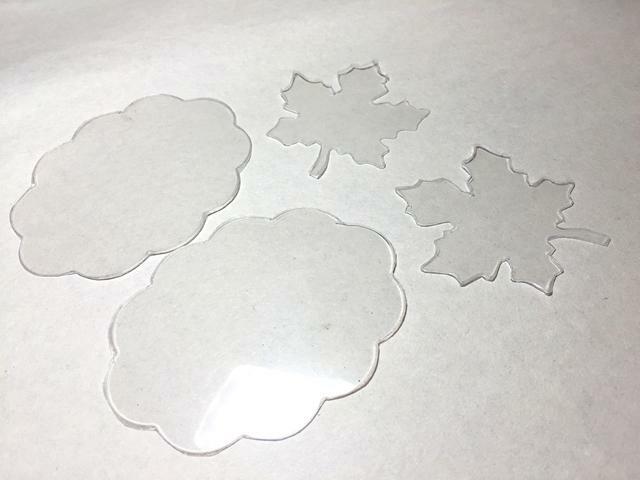 I decided I liked the white Shrink Plastic leaves on the clear backgrounds the best. 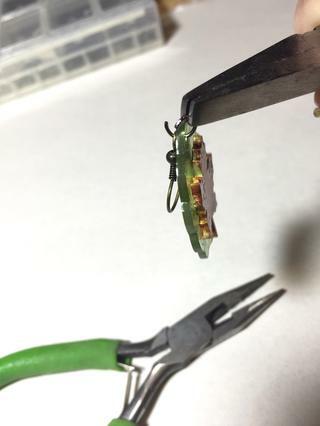 Once the glue has set, attach ear wires using jump rings. 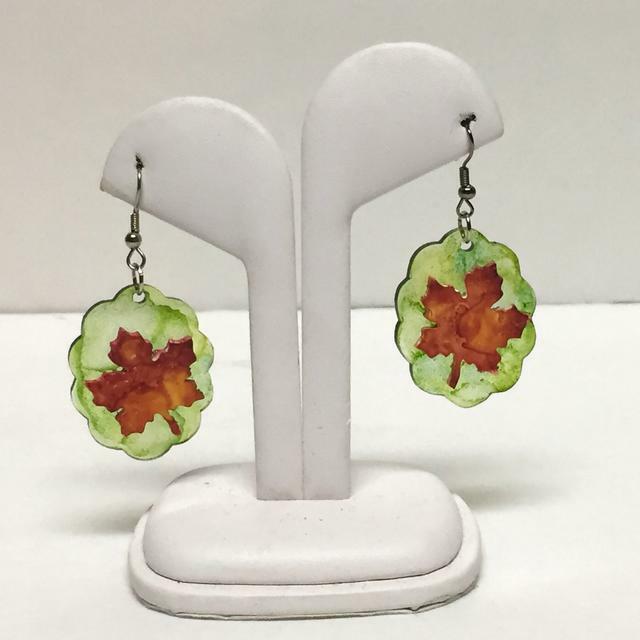 Experiment with your die cuts and punches to create your own unique jewelry.